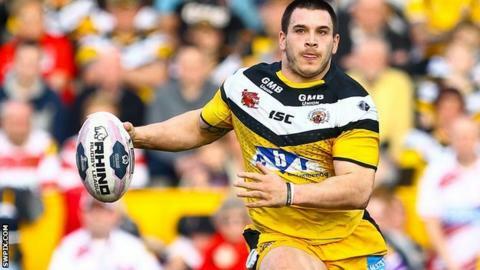 Castleford Tigers winger Justin Carney has signed a new five-year deal. The 25-year-old winger has scored 28 tries in 26 Super League appearances since joining the Tigers from NRL side Sydney Roosters before the 2013 season. "It's been a stressful couple of months and I've got what I wanted and I'm really happy," he told BBC Radio Leeds. "I had other offers but I love the players and the coaching staff here and there was no reason for me not to stay here." He added: "I've really made this place home now and it's important to be happy and I know I will be here. "A big part of me wanting to stay here was that I see the club going forward and I believe we can win things."